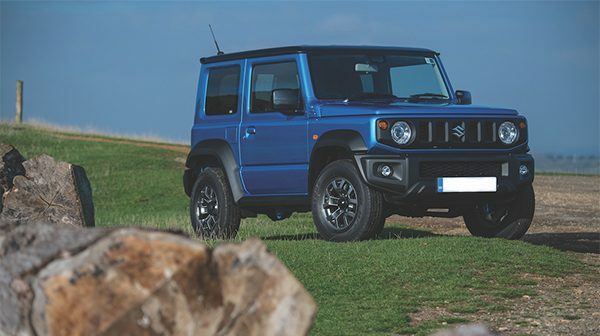 In this, the first of a new series looking at the technical aspects of new vehicles, Iain Robertson examines the surprisingly ‘low-tech’ Suzuki Jimny, although it is fairer to describe it as ‘enhanced and improved but broadly familiar’ tech. Having captivated the attention of motoring fans worldwide, the latest Japanese-built Jimny 4×4 is bucking a new car trend, by thriving on surprisingly basic but well-proven levels of engineering integrity, without Suzuki committing to a massive advertising spend. EU-stipulated ADAS technologies, which include Lane Departure Warning and front-camera emergency braking (or Dual Camera Brake Support in Suzuki marketing-speak), are joined by comfort-orientated technologies – from air conditioning, High Beam Assist (for both halogen and LED headlamp options), cruise control and Bluetooth compatibility. While none of this is revolutionary, at long last it brings the new Jimny to a market-acceptable specification. Now 48 years old and into its fourth generation, no less than 2.85m examples have been sold worldwide. Intriguingly, the outgoing car, which sold around 47,000 examples in the UK, endured only minor trim upgrades over its existence. Despite technological advancements being rife over the past decade, the new Jimny relies on a blend of tried and trusted engineering aspects that include a body-on-ladder-frame construction of zinc-coated and rust-inhibited steel, which is considered to be more suitable for rugged off-road duties. Eight rubber mounts fix the separate chassis to the body. It is 1.5-times more rigid torsionally than before, with an additional X-form crossmember below the front floor and two additional transverse bars. As a result, the ride quality of its separate coil-spring and damper strut (inclined at the rear) suspension set-up is significantly improved. The axles are located by three rigid links and a thicker front stabiliser bar, which reduce the body roll of the previous model and enhance its multi-surface ride comfort. The front rigid axle is constructed of more robust high-tensile steel, while the rear axle housing is not only larger in diameter than before but also features a 30% greater flexural strength, for added durability and longevity. Suzuki retains the off-road authenticity that is central to the Jimny. This car is emphatically not an SUV, or a crossover, like a Nissan Qashqai. It is, on the other hand, an uncompromising off-roader, which has no genuine rivals. Its closest competitors are the now discontinued Land Rover Defender SWB, the £140,000+ Mercedes-Benz G-Class and the £45,000+ Jeep Wrangler. Suzuki is the giant-killer, thanks to its 1.135-tonnes kerbweight, which is around the same as a Ford Fiesta and makes it more land-cruiser than land-bruiser, along with its ‘from £15,495’ good value price tag. Displacing 1.5-litres (1,462cc), which is fast becoming a new normal capacity, the 15% lighter, four-cylinder, in-line, naturally-aspirated petrol engine replaces the previous 1.3-litres unit and operates its 16-valves by chain-driven, twin-overhead camshafts. Technically, it is well engineered but thoroughly conventional (not even Hybrid assistance is offered), developing a modest 100bhp at a lofty 6,000rpm. Its peak torque figure of 95lbs ft at 4,000rpm suggests that the unit needs to be revved hard to obtain the best performance but it is helped by low final drive gearing (4.090 to 1, 5-speed manual; 4.300 to 1, 4-speed automatic). Interestingly, fifth is the direct 1:1 ratio in the manual gearbox. For the traditional, 4-speed epicyclic, planetary-geared, torque convertor auto-box, third is the direct drive, with fourth being overdriven (0.697:1). On both auto and manual, a separate transfer gearbox is operated by an ‘old skool’ separate manual gear lever that offers a 50% overall gearing reduction (fractionally lower, at 2.644:1, in the automatic), which compensates where it matters on the roughest and steepest of tracks. Both manual shift levers have been re-designed to reduce vibrations and provide a more direct feel. Incidentally, the transfer box can be selected ‘on-the-move’ (between 2H and 4H) at speeds of up to 62mph, thanks to synchromesh on the gears, although a complete stop is required to select between 4H and 4L. Torque vectoring is provided mainly by the ABS hard and software, which brakes slipping wheels individually, thus permitting power to be directed to those possessing more traction. 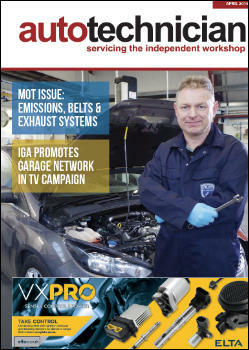 It is a simple system that relies on no extra parts and is made more effective by the car’s low weight, instead of using costly and complex wet clutches, or electrically-operated couplings. The centre differential can be locked mechanically using the stubby mechanical lever. more significant off-road capabilities and intentions. While its boxy body is marginally taller and wider than before, it is conveniently 30mm shorter, which complies with the Japanese ‘kei-class’ city-car legislation, although the bigger bumpers and wheel-arch extensions are intended for non-domestic markets, including ours. Interestingly, the JDM-spec 660cc engine will not be exported. While the CAD-CAM strength-optimised body length is 3.48m, a wheelbase of 2.25m highlights a near wheel- at-each-corner stance. Boasting 210mm ground clearance, its obstacle approach angle of 37-degrees is exceptional for any off-roader and is backed-up by a ramp breakover angle of 28-degrees and a departure angle of an amazing 49-degrees. Unlike most SUVs and crossover category machines, the Jimny retains a recirculating-ball steering system, rather than rack-and-pinion. Once again, this is a partial concession to its restricted compromise, off-road capabilities and is preferred by serious off-road drivers. An hydraulic damper is fitted to the suspension to reduce steering ‘kickback’ and aid off-road accuracy. A tight turning circle of just 32-feet (9.8m) highlights the manoeuvrability of the new Jimny over other 4×4 rivals. Although some steering ’boxes are known to promote a small amount of on-road directional instability, constant correction is not required in the Jimny and, while the feel at the steering wheel is slightly remote, promoted by the high-profile 195/80×15 standard tyres, the Jimny is as directionally tolerant of a 70mph (3,500rpm) motorway cruise, as it is accurate, when digging into its full range of off-road surface capabilities and I feel sure that it will manage snow and ice with equal aplomb. Finally, the exterior detailing of the UK-spec Jimny incorporates the rear lamp units within the resilient plastic bumper unit. Pressed steel wheels are standard on the SZ4 trim, which are tougher and much easier to repair if damage is incurred, while the pricier SZ5 obtains attractive aluminium-alloy alternatives. 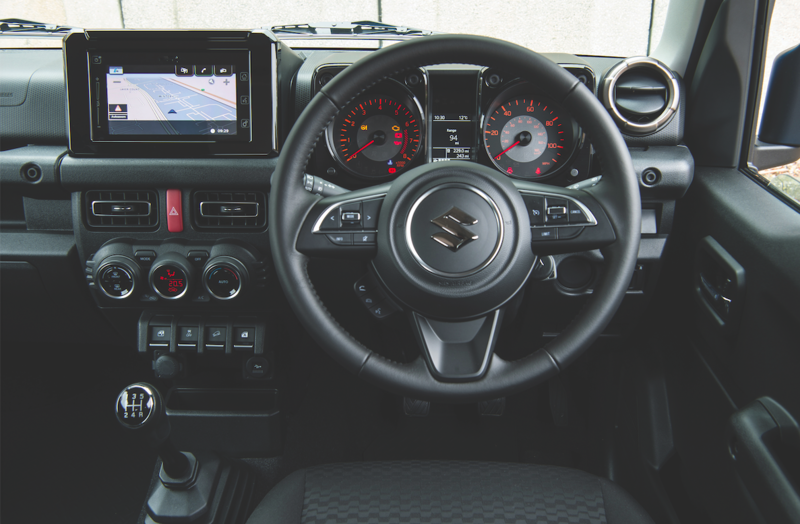 The roof, which can be finished optionally in black on SZ5 specification models, also features pronounced traditional guttering to inhibit water drips, while the front side windows feature a dip in their forward edges to improve outward vision, when travelling off-road. Suzuki has maintained an honest and real-world approach for the new Jimny. While the new car is neither innovative, nor retrospective, it still incorporates complex technology to meet both legislative and consumer expectations. Well- considered engineering honesty is producing a ‘sold out’ situation. While its on-road proposition is much improved, there is no compromise for its off-road talents. It is tough, durable, much safer and promises to build upon Suzuki’s strengths of reliability and ease of repair.